Happy New Year! Today should be a time for reflection and a time to look ahead. But where’s the fun in that? LOLOL Okay, seriously. Last year is a done deal. I can’t go back and change anything. Upon reflection, I’m not sure I would. I started out the year full of plans and ended the year burned out. This year, maybe I’ll be a little more realistic. Maybe. 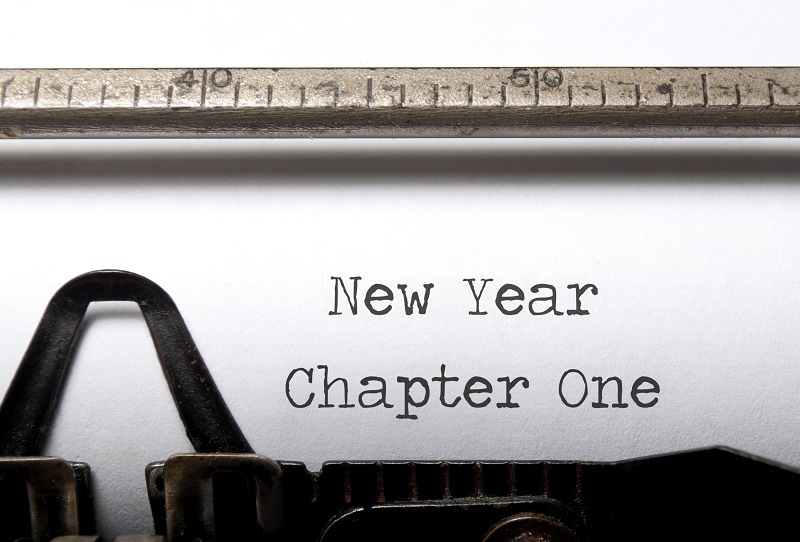 That said, this is a new year–a blank chapter in the Book of Life. I’m going to take the blank page and start writing on it. So…publishing. I have a full slate, as always. We’ll see how much gets done, since I’m not making any carved-in-stone promises. Well, not many anyway. I want to do at least two Harlequin Desires, three if it works out. I want to finish the Barron brothers and start on the cousins, but the first Tate boy book is a Christmas story. I’ll be preparing two full proposals–meaning first 3 chapters and fairly detailed synopsis of RDR#5 (Cash’s story) and what should be RDR#7 (Deacon Tate’s story). I’ll do a detailed synopsis for RDR#6 (Kade’s story). Writing will be determined by cut-off deadline on the Christmas story if it gets picked up. I know THE BOSS AND HIS COWGIRL RDR#3 is releasing in June, 2016, followed fairly shortly thereafter by RDR#4 (THE BILLIONAIRE’S INCONVENIENT COWGIRL – working title). Those are pretty much set in stone. My self-pub schedule includes a secret project due before October, which looks to have a Nightrider tie-in, plus Nightrider #2, Hard Target #2, Roman’s story in the Penumbra Papers (#4), and MOONSTRUCK: LIES. Yes, that’s a lot of writing. And editing. But I plan on being more organized this year. Hey! Stop laughing. It can happen. *looks around office…grimaces* Maybe. *shrugs* Anyway, that’s the plan. With an eye towards that schedule, I’m setting a goal of an average of 1000 words a day. That’s 7000 words a week, 30,400 a month, which works out to yearly totals of 366,000 (per day and it’s a leap year), 364,000 (per week), or 364,800 (per month). That’s a lot of words. And that many words total up to a lot of books written. Since most of my books average 60K, that’s SIX books. Which is one less than I’d like to write. So I’ll have to write smarter. Haven’t quite figured that out yet. I’ll let you know if and when I do. Travel: I’ll be in San Diego in July for RWA Nationals. That’s the only blip on my travel radar at the moment. Blogging: Plans are to continue on the same schedule as 2015. There will be times when I either have nothing to say or I’m snowed under with deadlines. But, yeah, five days a week. Reading: So many new books this coming this year! I started my reading challenge at 200. I was unofficially up around 250/260 at the end of the year. I stopped keeping count because most were rereads and some I couldn’t count officially because they were contest reads and there are anonymity rules. So… I also discovered the joy of audio books, but only for books I’ve already read. I can cook, do laundry, surf the web, and listen. This is great for rereading a series before the next book comes out. I can get some from my library system. Some, I can buy cheap because I already own the Kindle book. Others, I’ll slowly collect as I get my free monthly credit on Audible. In previous years, I’ve picked a Word for the Year. I’m not doing that this year. 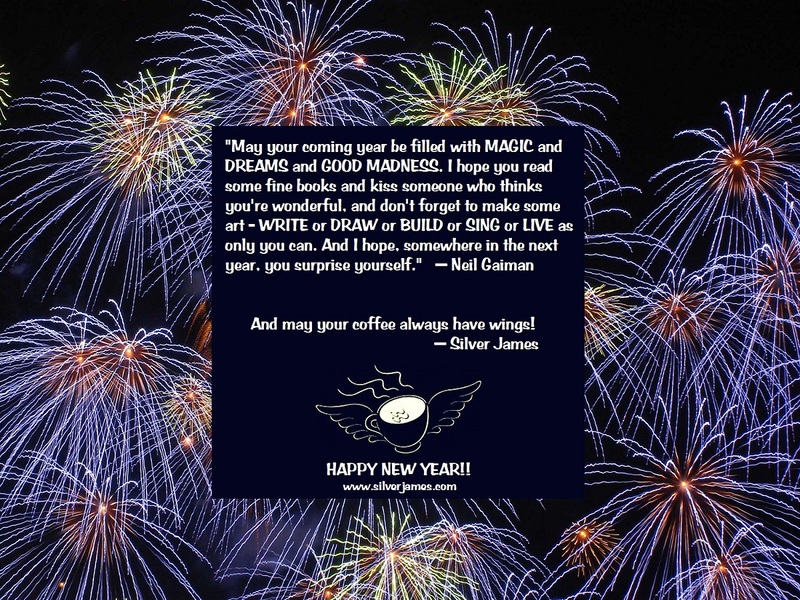 This year, I’m taking Neil Gaiman’s words to heart. I’m sure most of you saw my New Year’s posts on my FB pages and on Twitter, but I’ll close out with it below. I wish the same for all of you. Time for me to start writing the next chapter. What about y’all? What will you write this year? This entry was posted in Writing Life and tagged coffee, follow up, herding cats, inspiration, Monday, musing, reading, stuff, writing. Bookmark the permalink. Busy lady. If I had half your energy, I could get books ready for next year. :panics a little: I’ll be publishing 4 books this year and 3 of those are already written. They just need editing. The 4th is a third of the way written and is scheduled for late fall, so I’m good with that. 2017? :shudder: I’ll have to figure out Djinn4, SCIU3, and DH3. Wait, you asked about 2016, though. Time and budget permitting, I’d still like to wedge one of my dystopians in there somewhere. Other than that, I pledged to read 70 books this year. At some point, we’re hoping to have the Kid come for a visit, but she’s starting back to college this month, while working, so we’ll see. You’re busy too! I ran out of published books some time ago. I have a few partially written, two in need of serious edits before unveiling but there’s a reason they’re partially written and haven’t been updated/edited. LOL You still have a full publishing regimen on your plate! 😀 And I hope you get to see the kid sooner than later! My plan is to get back into Turning Point and finally finish it. Yes, I made that my goal last year but I couldn’t pass up the opportunity to publish for the first time. I wrote a short story, which included editing, re-editing, beta reading and critiquing for 3 other members of the anthology and I started on another short that was going to be in a Christmas Anthology, but that was cancelled. I put off writing to save myself for NaNo but that backfired and I lost all motivation. So, this year I plan to devote at least one hour a day to writing in TP, one hour for reading (I have fallen soooo far behind it isn’t even funny. I used to read so much more than I do now and my speed has suffered greatly). Not an extreme goal but if I can reach it, I will be one happy camper!!! PS: I’ll be getting the rights back for Micah’s Mess this month. Sales were horrible and no one left reviews so Rebekah will give us all back our stories. If I’m motivated, I might add to it, flesh it out a bit more and re-release it as a stand alone story… I know it could be so much better with more to it but part of me feels like it’s done and I should just leave it alone. I love my characters but not the way I love Amy and Vance, whose world I’m afraid to leave.